Need to use PTplace on the go? Try m.ptplace.com on your mobile phone or tablet! We've been hard at work over at the new store and are wondering why you haven't joined us. Help us make the transition smoother by filling out this short survey. The new Schaeffler Store is here! 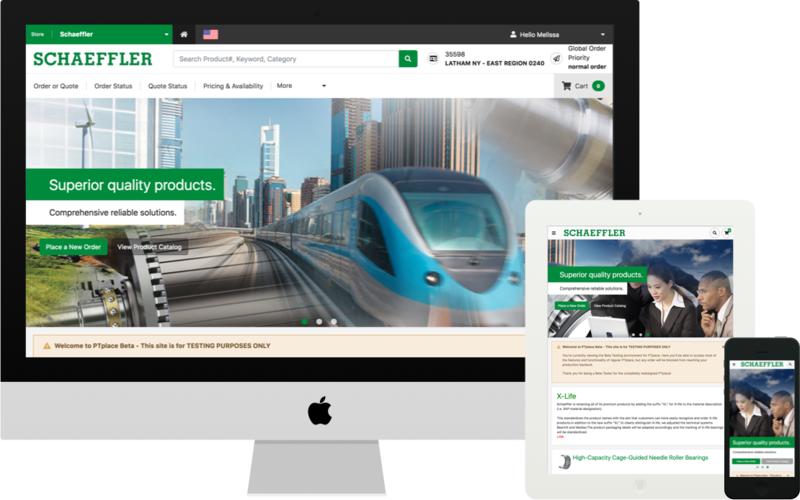 The new Schaeffler Store is live and be enabled automatically in October. Turn it on early so you can get used to it before the old site is gone forever. Yes, proceed to the new Schaeffler Store!